Signarama Macarthur, Sydney's South West full service sign centre has been in operation in the Macarthur Area for over 17 years. Under the guidance of Ben Pribilovics our aim is to provide the best level of signage and customer service to our business clients, not only throughout Sydney’s South West but Nationwide. As each and every project is unique we look to your individual requirements which enables us to develop the most effective signage for your needs & budget. Whether you need a single sign or a nationwide re-brand we are proud of the reputation we have developed with our clients for delivering quality signage & great customer service. 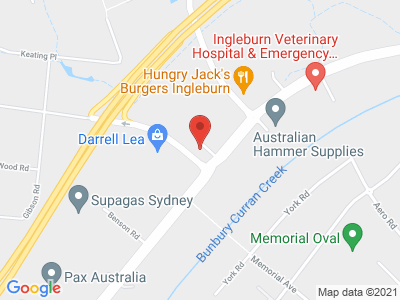 Feel free to visit us in our showroom at 15/79 Williamson Road Ingleburn, or we can visit your site to help guide you through your next signage project. We love nothing more than helping our customers get more customers themselves, and leave a lasting impression in their Community. We cover the areas of Campbelltown, Camden, Picton, Smeaton Grange, Ingleburn, Minto, the southern highlands and surrounds, but we travel all across Sydney. As part of the world's largest signage network, we have access to resources that no other sign company can think of. Our extensive nationwide network allows us to manage your signage project from start to finish, no matter where your site is located. Our teams work side-by-side so that you can get back to running your business. We are truly your full-service sign centre, with the ability to design, manufacture, fabricate and install any of the following types of signs: A-Frame Signs, Vinyl Banners, Neon Signs, Car Signage, Rear Window Signage, 3 Dimensional Lettering, Digital Graphics, Retractable Banners, Exhibition Signs and more! Signarama Macarthur - The Way to Grow Your Business.